College is a crazy ride. Between heavy course loads, working part-time, and searching for internships, it can be easy to push to idea of traveling to the side, and assume you'll have time once you've graduated. However, the sad truth is most graduates will have even LESS time after graduation. Once you get a full-time job, you'll have a stricter schedule, and a limited number of vacation days - leaving you wishing you'd traveled sooner. 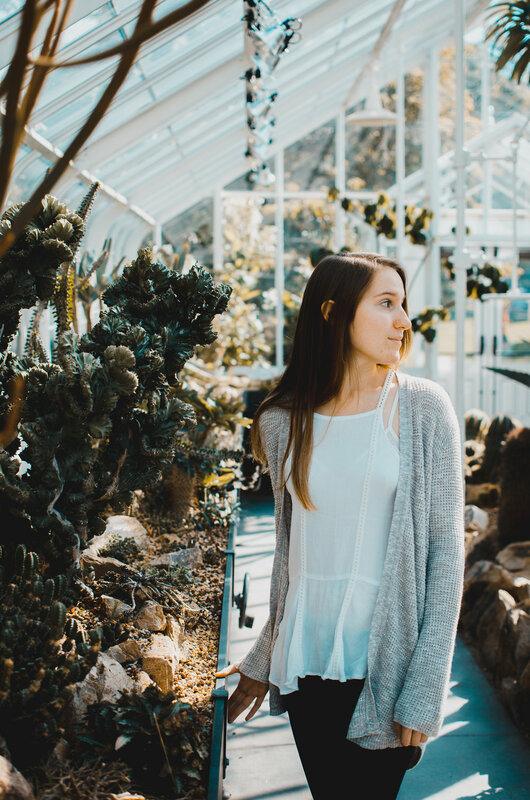 This post details creative ways to take advantage of your time and freedom in college, and can help you get an early taste of the world. Study abroad course loads are often fairly light, allowing for plenty of time for weekend trips. Cinque Terre anyone? Most colleges have a wide-array of study abroad programs. They can range from a couple of weeks, to a full year, and often encompass destinations all over the world. When I was a Freshman in school, I jumped on the opportunity to spend my Spring quarter in Italy. I'd never been out of the U.S. before, but knew I was more than ready. However, I've found employers are generally very flexible when it comes to start/end dates of your internship. The key to knowing for sure though, is to ask. Last summer, I worked for company who had originally anticipated me working up until school started in the Fall. I really wanted to spend 3 weeks in the Philippines though, so I asked my manager if it'd be alright for me to finish at the end of August. After hearing my plans, my manager was really excited for me, and more than willing to be flexible. Had I not asked, I wouldn't have been able to go abroad, and would've spent the month of September wishing I'd spoken up. Take a chance this year and ask your boss if your begin/end date has some wiggle room. Sometimes after a long quarter, all you want to do is lay at home and eat your mom's homemade cookies (this is literally me). However, Spring and Winter break are both great times for a mini vacation. This year, why not go home for a few days, and then take off on an adventure? This way you get to visit your family, and see a bit of the world. You're not going to have these convenient breaks once you have a full-time job, so take advantage of them while you can. Last Winter break, I escaped Seattle for a quick trip to China. 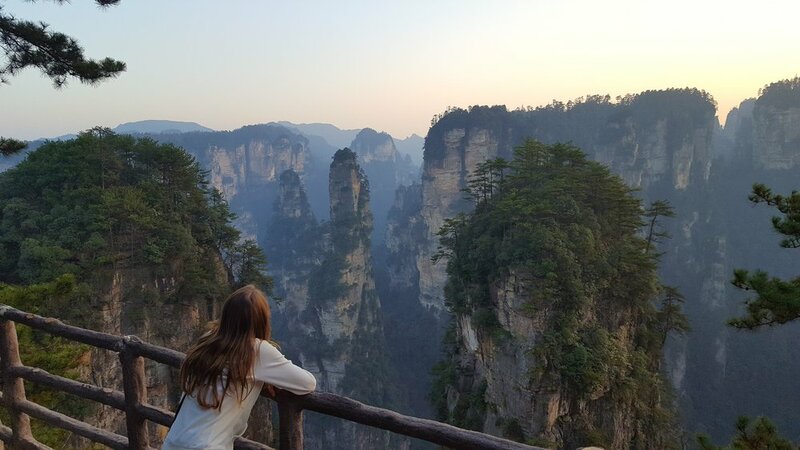 I hiked through parts of Zhangjiajie National Forest Park, ate some of the best food I've ever had, and still made it home for Christmas! Just because your finals are scheduled for the last day of the quarter does not mean you have to take them then. When it comes to testing, professors are usually willing to work with you (as long as you give them plenty of heads-up). By taking your finals early, you've extended your break, and therefore have more time to travel. This past Winter quarter, I took my finals a week early in order to get a cheaper flight to China, and have extra time after my trip to spend time with family. Had I waited only a few days longer, I would've spent an extra $400 on my ticket! If you're worried about not feeling prepared enough to take your finals early, start working ahead on assignments during the weeks prior, and ask you teacher to see the final study guide before the regular, scheduled review day. While I can't speak for all schools, the University of Washington has a Quarter-Off Eligibility Policy which allows students to take a quarter off without losing the ability to register for classes the following quarter. This is an amazing opportunity! During a quarter off, you have the freedom to truly backpack a part of the world. My friend did this during his Sophomore year of college, and was able to thoroughly explore both Peru and Ecuador. Unlike a study abroad program, he didn't have to spend extra money on program fees, or follow any sort of itinerary. Instead, he moved from city to city as he wished, and spent a fraction of the cost most students spend abroad. If you're interested in doing this, plan early, and make an appointment to speak with a school adviser. They can tell you what the college policies are, or point you in a good direction. This is one thing I personally haven't tried, but I know people who have and loved it. A gap year is the ultimate travel opportunity, as it would give you time a huge chunk off time to explore and even learn a new language. Some of the best times to take a gap year would be before you start college, after you complete an AA (and before you start at a 4-year university), or right after you graduate. In these cases, you wouldn't be forfeiting your spot at college, but rather delaying enrollment and your application.